The issue of audience is essential to consider in order to create art that sustains viewers’ attention to the work and the issues informed by it. 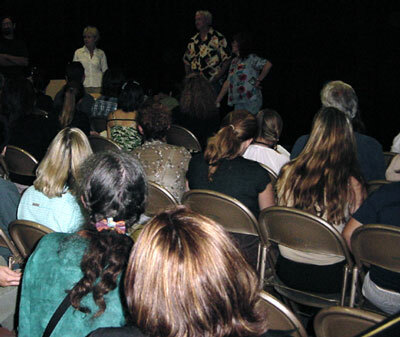 Photos: The September 22, 2003 orientation meeting for the participants and facilitators in the Envisioning the Future project. 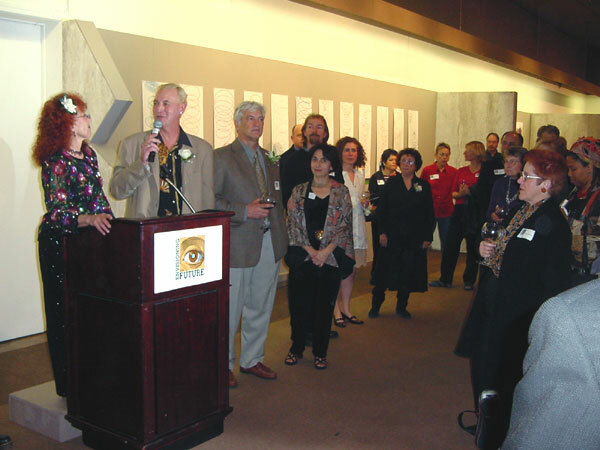 Photo: The opening of the Envisioning the Future multi-site exhibition in Pomona and Claremont, California, on January 9, 2004.